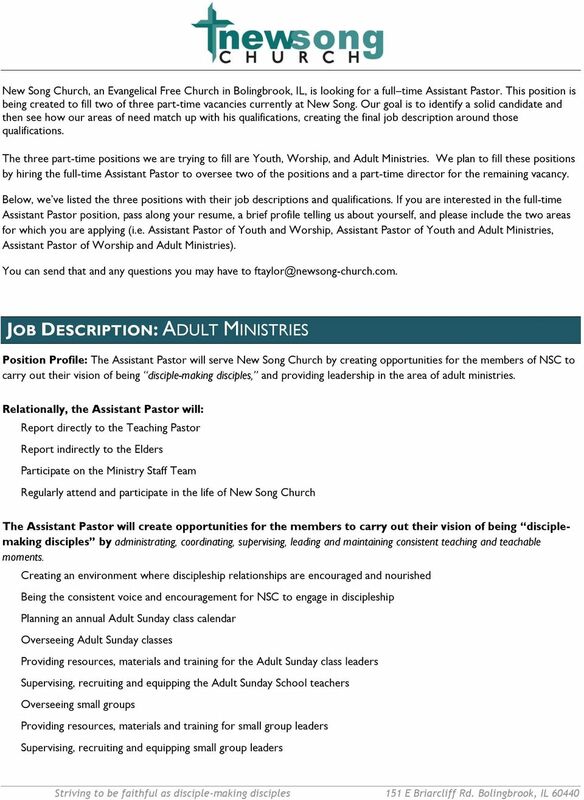 Download "JOB DESCRIPTION: ADULT MINISTRIES"
1.1 The Program Core Ministry is accountable for all aspects of the Christian Education ministry at Trinity United Church. Mission Statement. Integration We integrate children into the life of the whole church including worship, missions and fellowship. 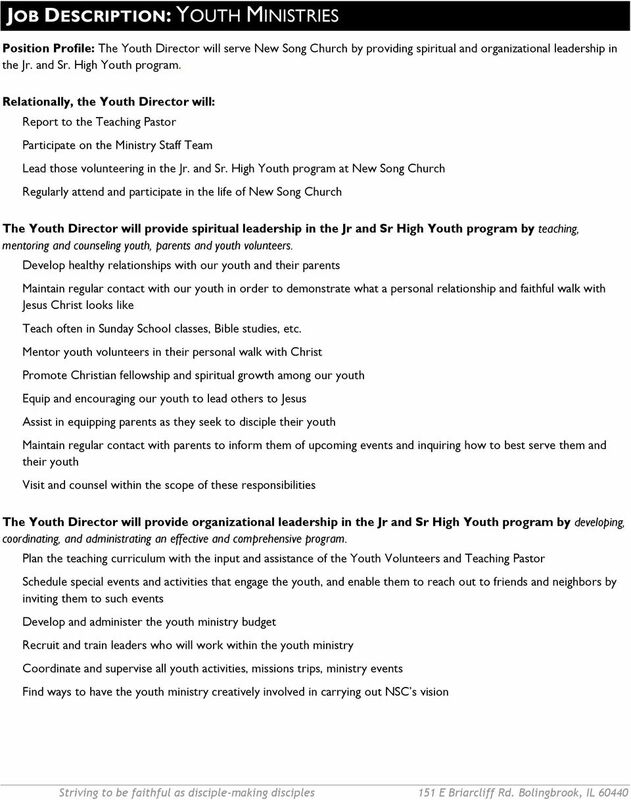 Mission Statement The Children s Ministry exists to love, teach and inspire local children in order that they and their families will love God, lead like Christ and confidently live the Christian faith. 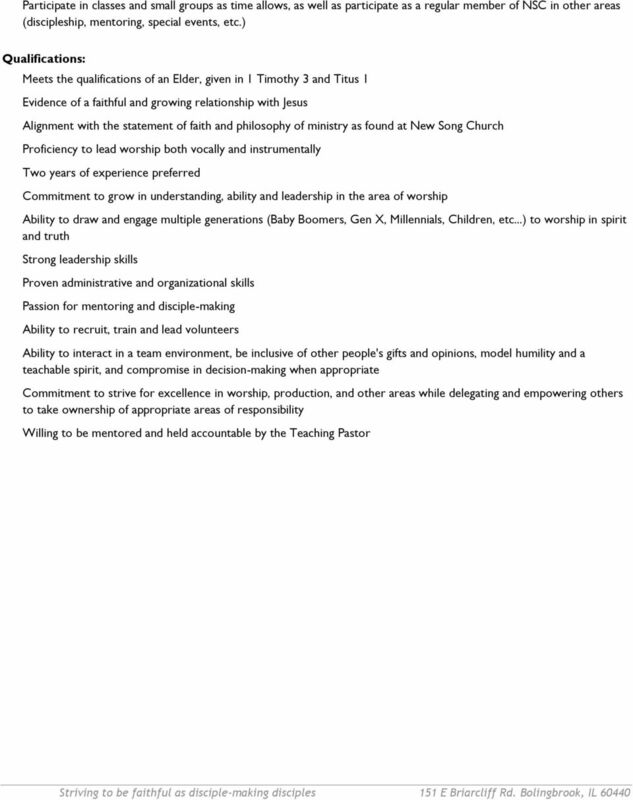 Expedition is a 7 year old, non-denominational church of approximately 500 people in Payson, Arizona. 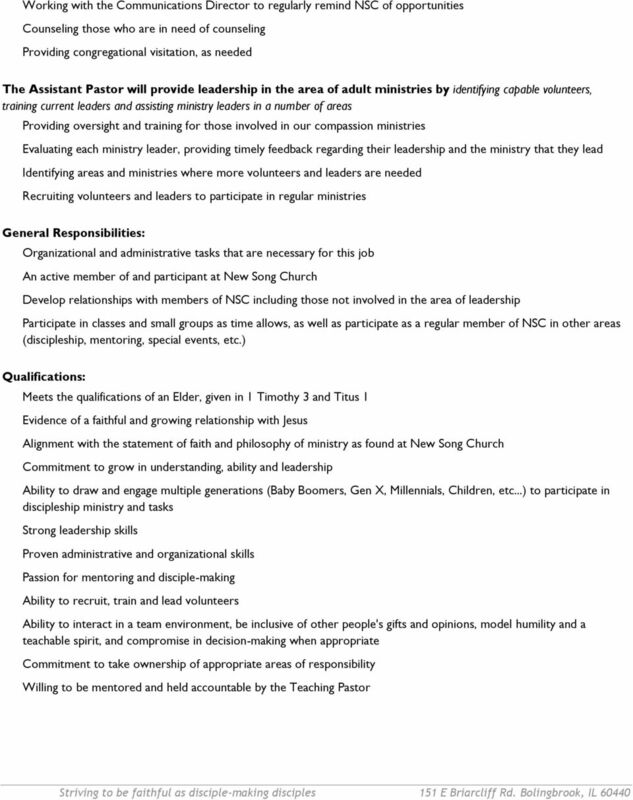 Youth Ministry Opportunity in a Large Multi-Staff Church Director of Youth Ministries Lincoln Berean Church Lincoln, Nebraska POSITION INTRODUCTION: Lincoln Berean Church is located in Lincoln, Nebraska. 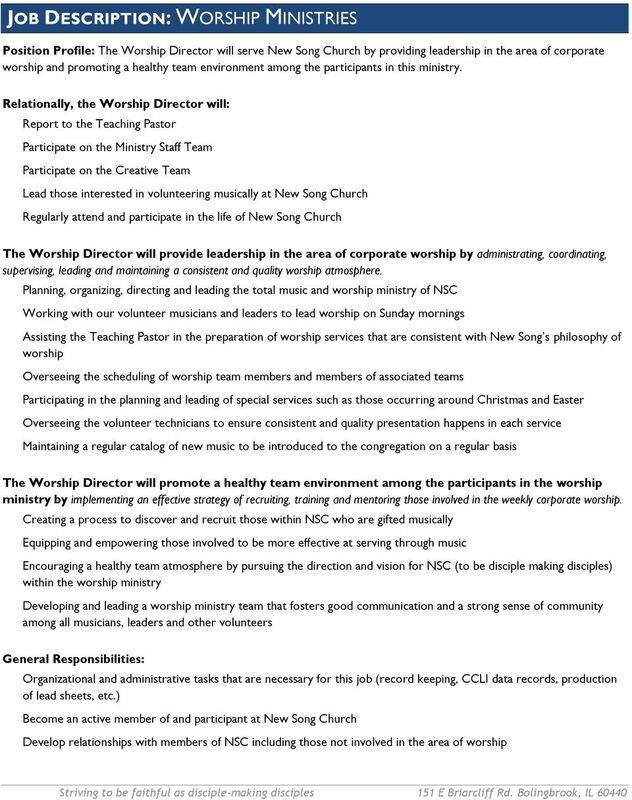 Trinity Church Kirkwood Minister of Worship and Discipleship Trinity Church (PCA) seeks full time ministry director who will be responsible for Worship and Discipleship and who is ordainable in the PCA. 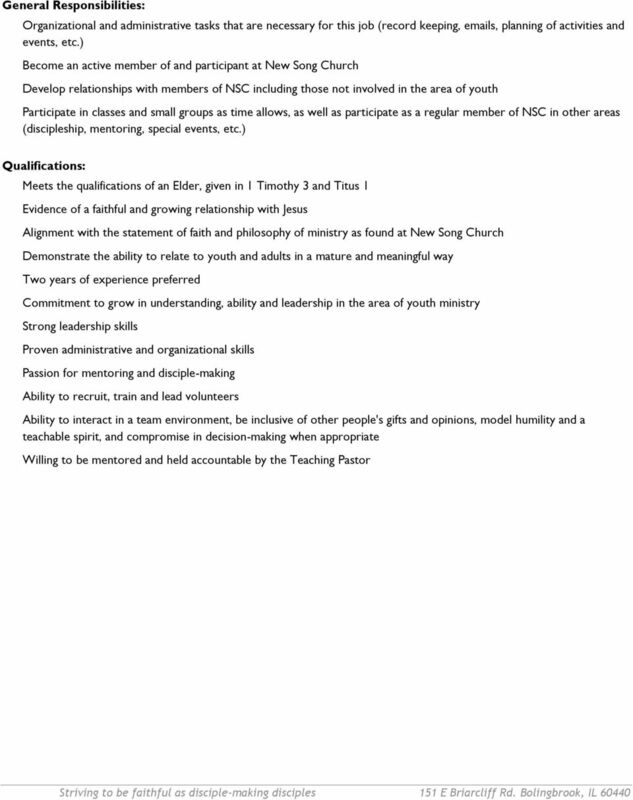 Biblical Principles of Youth Ministry W hen we think or talk about establishing a youth group, it is important to begin by asking the question, What is it that the Lord desires of us in this ministry? A key to success is clarity and consistency when it comes to our Vision, Values, Vehicles and Evaluation.